LETTER | Motorists taking the train at Cochrane MRT Station will have to park their vehicles illegally at nearby roads and lanes and hope they will not receive a notice of parking offence or have their vehicles vandalised. The MRT started operations in July 2017 and motorists made use of the empty space in front of the Cochrane Station to park their vehicles - until a year ago, when it was cordoned off. The piece of land enclosed by Jalan Cochrane and Jalan Shelly is huge and flat. A portion should have been turned into an open carpark and motorists would be happy to pay a reasonable entrance fee for peace of mind and security. It appears that these commuters are expected to fend for themselves or use parking facility at other MRT stations. However, some activities were seen cropping up at this piece of empty land recently. Some sheds were erected facing the MyTown Shopping Centre, not far from where the MRT buses are parked while waiting for passengers. Behind the sheds is the Cochrane MRT Station. 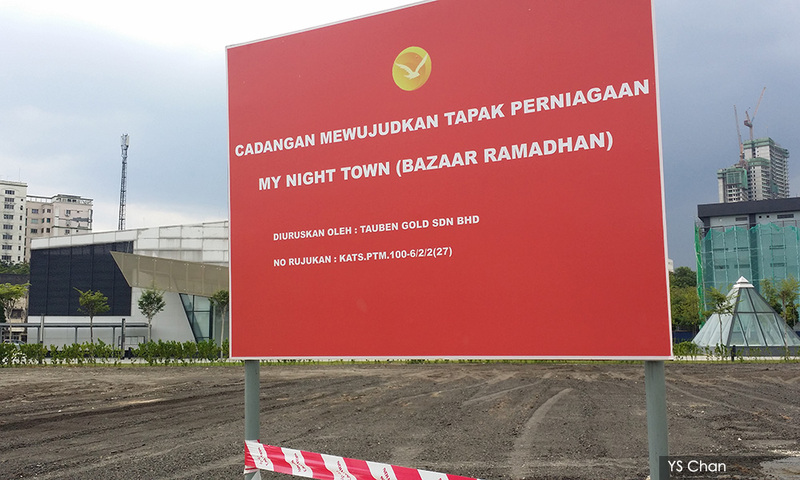 A notice board was placed near the junction of Jalan Cochrane and Jalan Shelly proclaiming “Tapak Niaga Bazaar Raya” (Raya Bazaar Trading Site) with a contact person and phone number. Another notice board is found at Jalan Shelly not far from the main entrance of the Cochrane MRT Station, with the words “Cadangan Mewujudkan Tapak Perniagaan” (Plan for Creation of Business Site) with the name of the developer. The vacant land is probably owned by MRT Corporation and it has allowed a private company to make use of its property to exploit the coming Ramadan by renting out the entire open space for sub-letting to petty traders. But during every Ramadan, there has been no shortage of makeshift stalls at popular spots, particularly near shophouses where traders can seek refuge during rain. But operating in an open space offers no protection from the searing heat, strong winds and heavy rains - and the danger of lightning strikes. If at all this temporary bazaar proves to be popular, it would cause traffic congestion along both sides of Jalan Cochrane, opposite the MyTown Shopping Centre, and Jalan Shelly as well. It would be an ugly sight similar to nearby Jalan Peel. 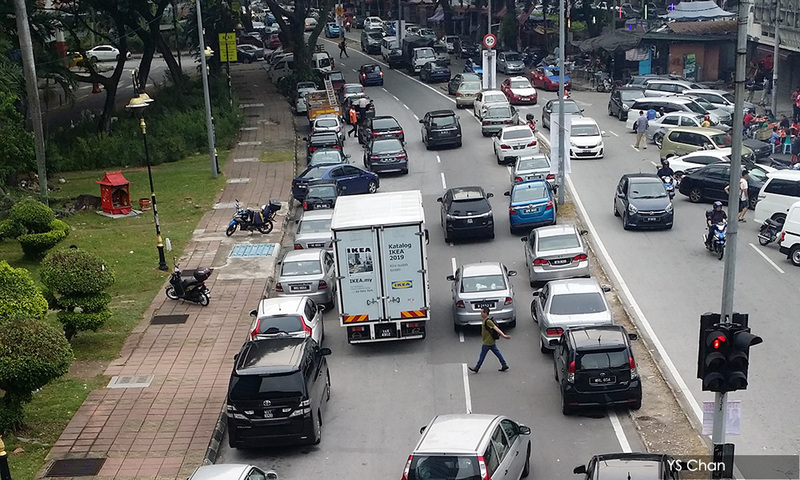 Those who have driven past the junction of Jalan Peel with Jalan Shelly in the evening would be dismayed with the haphazard parking when roadside parking lots are occupied by tables and chairs spread out by hawkers. But motorists have no qualms parking on one of the lanes, effectively reducing the street into single-lane traffic on both sides. Not only that, vehicles are also parked just next to the traffic lights and on the narrow divider, not just one or two cars, but the whole stretch. As such, the company granted the concession to utilise the land enclosed by Jalan Cochrane and Jalan Shelly should be made to pave the grassy land to provide a car park facility for the public. As the Ramadan bazaar will only be operating for only a month, the car park can be used by commuters for the rest of the year.